This specimen has a 14kt yellow gold filled case measuring 40mm long tip to tip, by 21mm wide. Case is in very good condition. 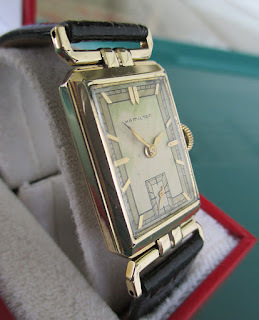 Few flea bites on bezel corners but most gold filled on the decorative embellishment is intact. 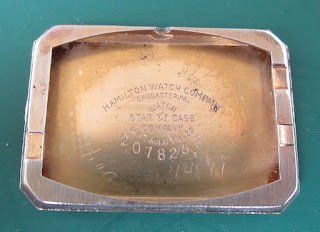 And the case manufacturer on this model was the Stat Watch Case Co. of Ludington, Mich.
Good original dial, some darkening, but still very readable. This is the dial option with the gold applied markers. 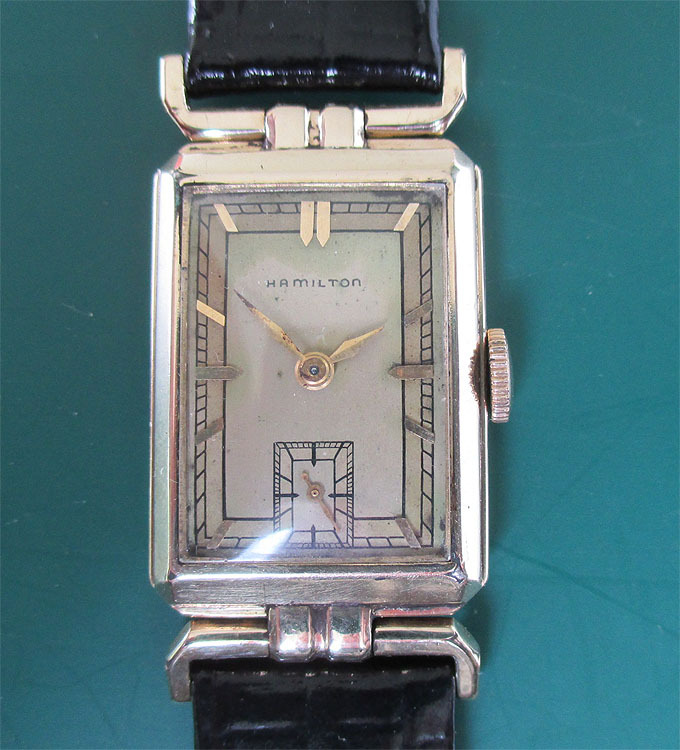 The other option from Hamilton was black inlaid enamel numerals. Crown appears to be the original, or at least a replacement that is correct to the period. Glass crystal is most likely a replacement. 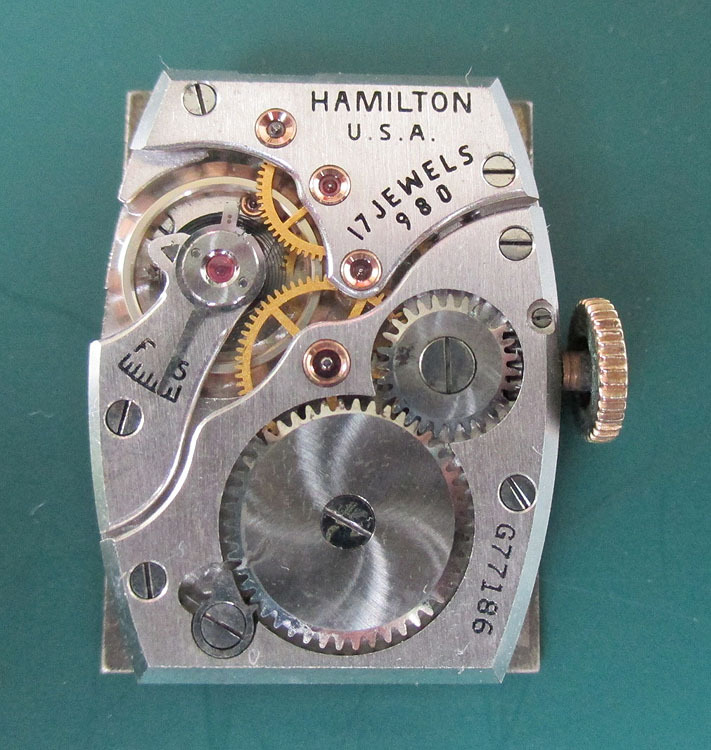 17 jewel Grade 980 movement winds smooth and sets perfectly. Keeps time to within 2 min/day, but unknown when last serviced. 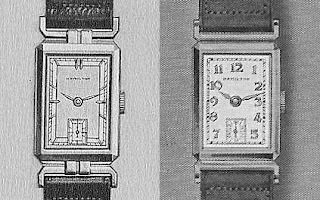 Serial number of G77186 corresponds to 1935-'36 date of manufacture, so the movement is age-correct to the watch, and I believe the original. Finished with a new old stock Speidel 16m black leather band. 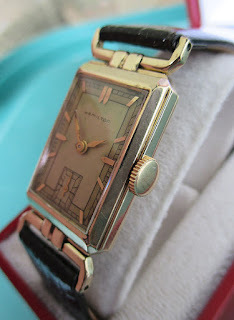 The Taylor has decorative embellishments on the bezel along the top and bottom. 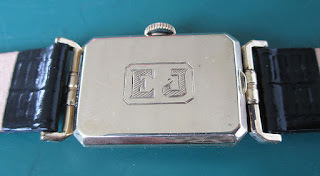 The Talbot's bezel does not have these embellishments. In addition, the lugs on the Talbot are fixed; they do not swivel. 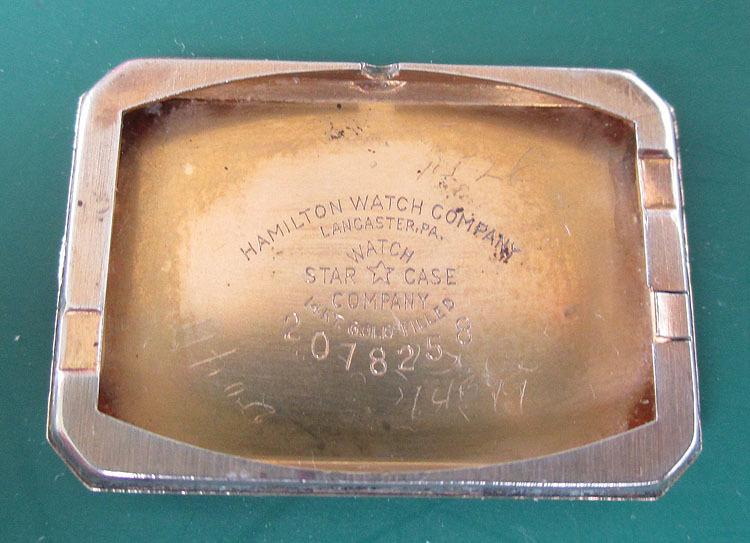 Hamilton likely found out early on that the hinged lugs were problematic, and remedied the situation with the new case design. 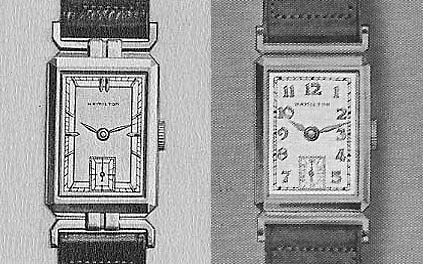 In any event, the Talbot didn't do much better than the Taylor; it was discontinued after its appearance in the '37 catalog. There are no factory records indicating how many "Taylors" were made. If not "rare," then at least this model is "unusual," and this is the first one I've ever seen. 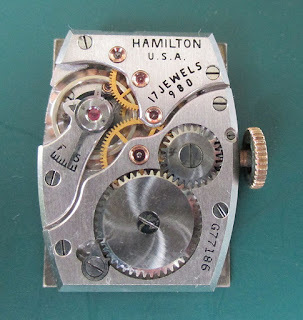 I would suspect only a fraction of these have survived in the ensuing 81 years because all of Hamilton's hinged lug models (Piping Rock, Pierre, Wilshire, etc.) were known to be fragile and prone to breaking whenever the delicate lugs took a hard knock. Many are the Piping Rock specimens out there with repairs to the lugs! I think overall, this is a very nice specimen, and the piece is already in the hands of an astute Hamilton collector just a few days after I acquired it. If you ever see one of this, you should probably pick it up! I would like to thank Dan Keefe for his help on this blog entry. If you don't know about his website (click here) you should check it out. 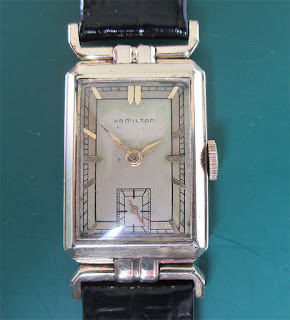 It's one of the best sites I've ever seen for Hamilton watch collectors!